Former IEBC Commissioner Congratulates Miguna Miguna on his new Achievement in Canada - Bana Kenya News, Real African Network Tubanane. Former IEBC commissioner has congratulated the deported lawyer Miguna Miguna for his courage and zeal to expose the rot in the government. Independent Electoral and Boundaries Commission (IEBC) former commissioner Roslyn Akombe has lauded lawyer Miguna Miguna over his latest achievement. The controversial counsel who has since been banished from the nation recently announced the completion of his new book dubbed 'Treason: The Case Against Tyrants And Renegades'. 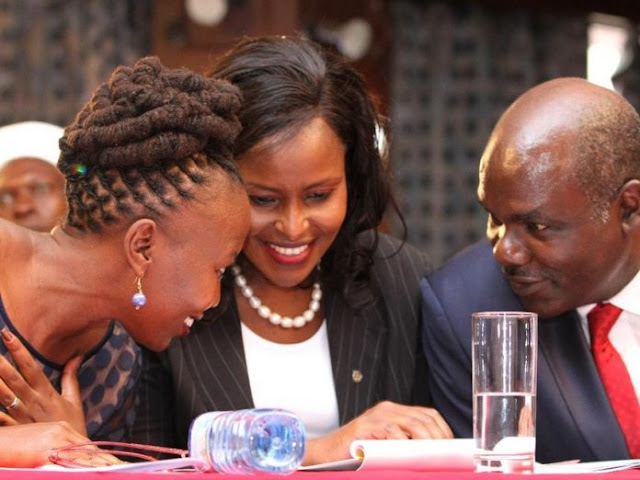 Welcoming the new development on Tuesday, Akombe expressed her eagerness to catch a glimpse of the 450-paged book once released. According to Akombe, the book will be a better way of exposing what's in the government and especially in the IEBC. She added that much of the information in the commission has and she will be of good help. Miguna Miguna was deported to Canada where the Kenyan government rejected him claiming he is not a Kenyan but a Canadian.